Drunken drivers are no less than "suicide bombers", a sessions court has said while refusing to show leniency to such a person by upholding his five-day jail term. "Drunken driving is not just a prescribed offence but even a severe social menace. 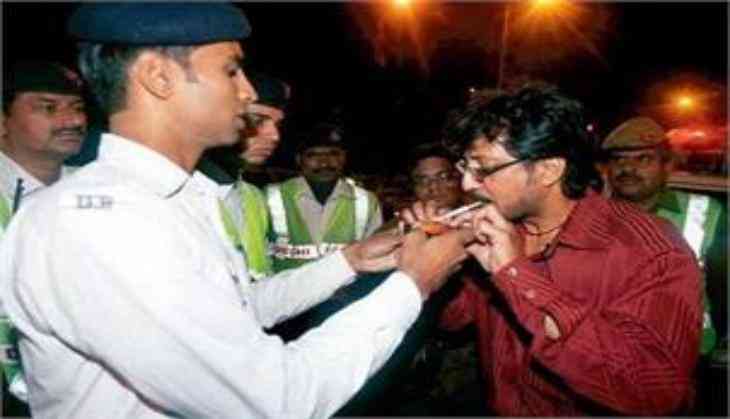 A person driving vehicle after consumption of liquor puts not only his own life to risk but also plays with the life of others on the roads. "Consequences of such accidents fall on innocent road users and their families and even the families of the driver who drives in drunken condition. Such drivers on roads are no less than the suicide bombers," District and Sessions Judge Girish Kathpalia said. The judge said that the court "cannot ignore the dangerous consequences of drunken driving". "A drunk driver can either kill someone else on road or get himself killed or injured. So many people get killed or are rendered paraplegic in roadside accidents caused by drunk drivers," the court said. Kumar had sought leniency claiming he had "only a sip of beer" and was not told by his counsel about the consequences of pleading guilty. This claim was rejected by the court. "I find unbelievable that by mere sip of beer, presence of alcohol in body can be as high as 168.7 mg per 100 ml," the judge said. The court also rejected the contention of the convict that no reformation takes place in jail, saying "going by that argument, no convict would be imprisoned. As laid down by a catena of judicial pronouncements, punishment must be commensurate to the offence".